The support currently available to older people in communities of less than 10,000 populace. 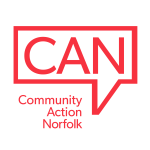 The aim was to identify gaps in provision across Norfolk and Waveney and understand the capacity of organisations currently delivering support. There are a wide range of issues that face older people coping with cancer, their carers and their families. There are around forty-five VCSE organisations that directly support, and even more that may be indirectly involved in supporting, older people affected by cancer. Whilst most of these organisations are well established and able to provide the services they offer, we came across some which have found themselves having tor educe or close their support services – sometimes due to poor attendance or lack of support. The response has usually been to move from having regular group meetings to having ad-hoc meet-ups or one-to-one meetings. Interestingly, most cancer support organisations are focussed on one articular form of cancer; none specifically target older people.